Home | Blog | Life Moments, Part 2. Hi bloggers! Happy Saturday afternoon to you! 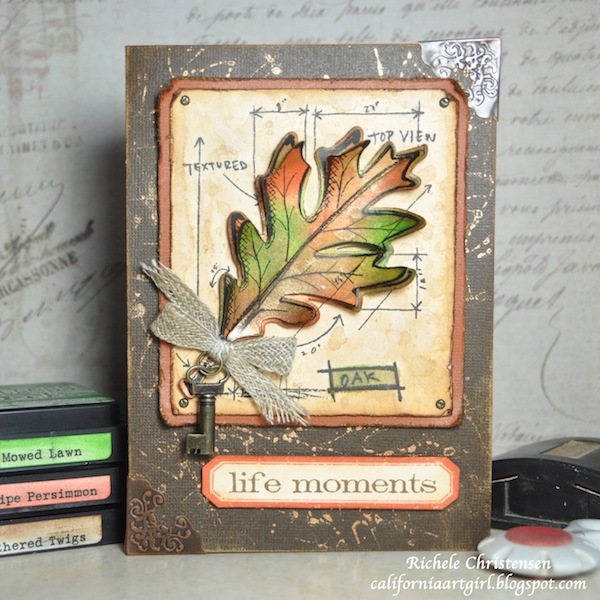 I can honestly promise you that it was a totally coincidence when we asked two amazing designers to be guests on our blog (and it happened to be the same day) that they both made a fall leaf card with the sentiment “Life Moments”. But, how can you NOT be inspired by Fall? The colors are stunning and nature is such a beautiful thing. I love the differences between their projects and how they are both completely amazing on their own! Without further ado, I bring you Life Moments, Part 2. Hello! It’s Richele Christensen! Have you seen the new Stamp and Framelits sets?! They are fabulous! My card features everything Tim Holtz, the Leaf Blueprint Stamp and Framelits, Distress Inks, Perfect Pearls Mist and some trinkets for the Idea-ology line. 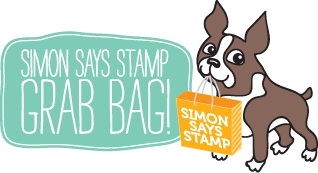 Stamp the leaf image four times onto manila card stock with Archival Ink. Cut the background leaf piece to 3 1/2” x 4” and color the background with Distress Ink. Apply ink directly to your Craft Sheet Spritz with water. Drag your piece through the ink. Dry with a Heat-It tool. Repeat as desired. Die cut the three leaf pieces. Color the leaves the same as above just add shimmer with Perfect Pearls Mist to the mixture on your craft sheet. If you’d like to add a little more color use an Ink Blending Tool with Distress Ink. Cut the base card 9” x 6 1/4” from brown Kraft’Core, score and fold in half. Spray Perfect Pearls Mist 3-4 times directly to your craft sheet. Pounce the Leaf stamp into the mist and randomly stamp on the base card. Cut a mat 3 3/4” x 4 1/4” from rust Kraft’core. Distress the edges with the Paper Distresser, ink with an Ink blending tool and Distress ink. Stamp the message with Distress Ink and die cut with the matching Framelit. Add Mini Fasteners to all the corners. Attach all the layers with foam tape. Embellish card as desired. Don’t you love how dimensional it looks?! The new Framelits make it so easy! 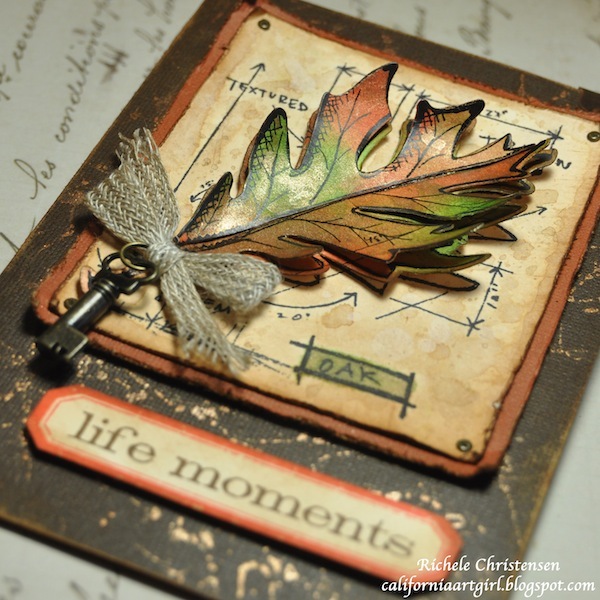 Richele is continuing to inspire us with this gorgeous Autumn Blueprint assortment below! Thanks so much for reading today, and thanks to Richele for being an awesome guest on our blog! Love the stamp and die combos. Wow.Wow.Wow. 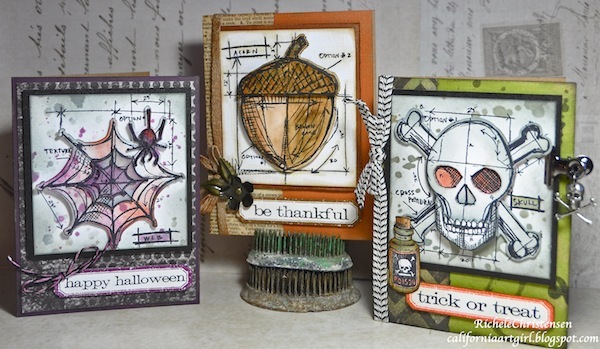 Fabulous fall cards. Absolutely gorgeous. Love being a subscriber to your email updates. I am going to have to add these blueprint stamps to my wish list. Beautiful cards!! So gorgeous. Now I know why I need these new blueprint stamps with die cuts. Off to sell the kids……. Love those halloween cards!! And that shimmery 3 dimensional leaf. Thanks for sharing. Richele’s layered leaves with Perfect Pearls has me so excited to start some thanksgiving crafting! Thanks for sharing this beautiful card. Great idea to attach all layers with dimensional adhesives. Thank you. I really love these cards… Great ideas. I follow your blog through email & would love to win some blog candy! Thanks! Wow! Those are super cool blueprint stamps and dies. I love the look! Cool creation. I follow the blog by email. 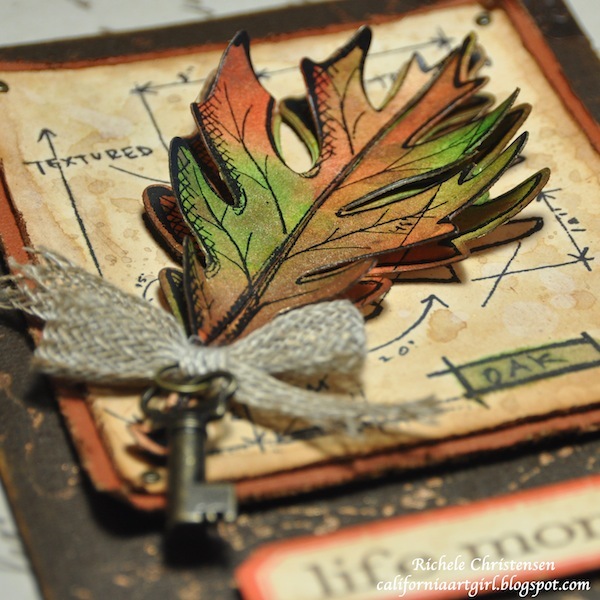 Very pretty leaf stamp…love the designs. Those blueprint images are so darn cool and I love Richele’s treatment of them! Beautiful–I like the color and dimension of the leaf. Simply stunning card – love it! Fantastic card! Thanks for the video.